Old map by ANONYMOUS - A View of S. James's Palace Pall Mall. - Vues du Palais royal de S.Jacques Pall Mall. Title: A View of S. James's Palace Pall Mall. - Vues du Palais royal de S.Jacques Pall Mall. 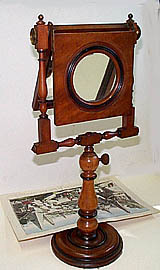 Size: 9.1 x 15.0 inches. Condition: A fine copy. Mint condition. 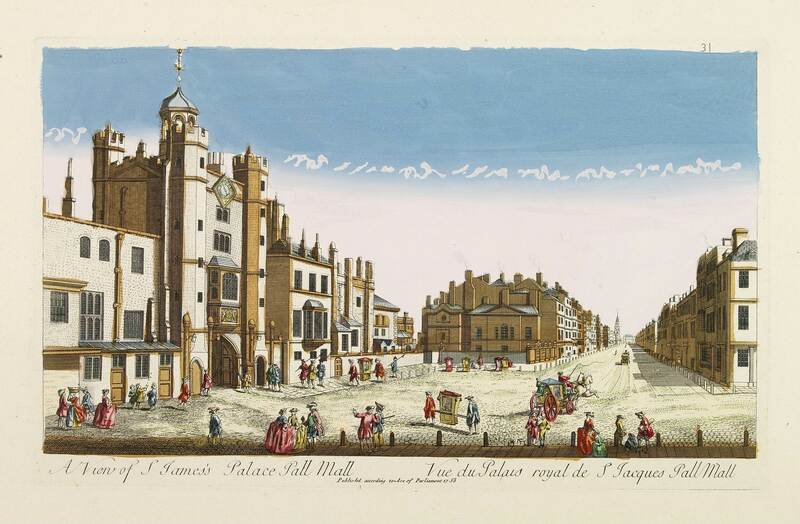 So-called optical print illustrating a perspective view of St James's Palace, Pall Mall. The gatehouse of St James's Palace is on the left.